Cleansing is an important step in every skincare routine. After removing my makeup using a cleansing balm or makeup remover. I like to double cleanse my face. I don’t exfoliate my facial skin every day. But double cleansing every night is a must do step for me. Especially, for people like me who wear a lot of makeup during the day time. I don’t stick to a single brand when it comes to cleansers. I keep on changing them depending on the kind of makeup I use – Well, in a way that determines how effective my cleanser should be. Being a girl with sensitive skin – It’s often difficult to get a cleanser that is effective yet mild on skin. 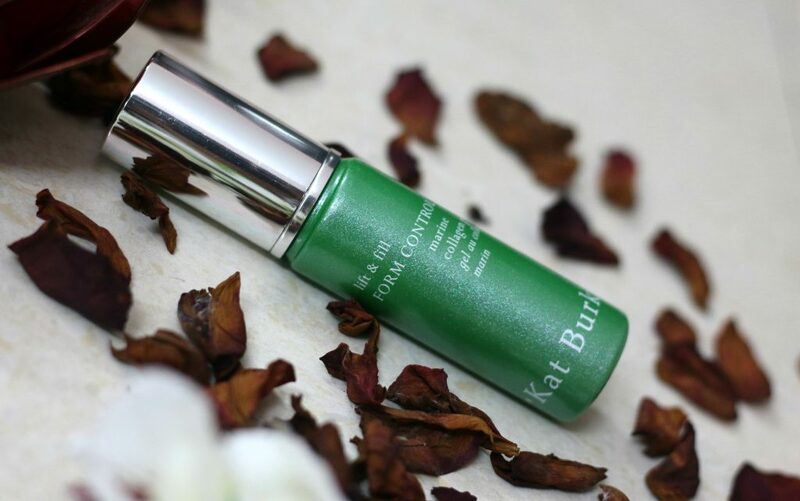 Two months back I got an opportunity to try some of the Kat Burki skincare line. I got their Cleanser and Collagen Gel. In this post, I am sharing my experience of using them. Like how Danish writer Karen Blixen once wrote – “The cure for anything is salt water sweat, tears, or the salt sea.” ; It’s true that the minerals of the ocean are known to have incredible cleansing properties which help to boost the body’s natural healing and repair processes. 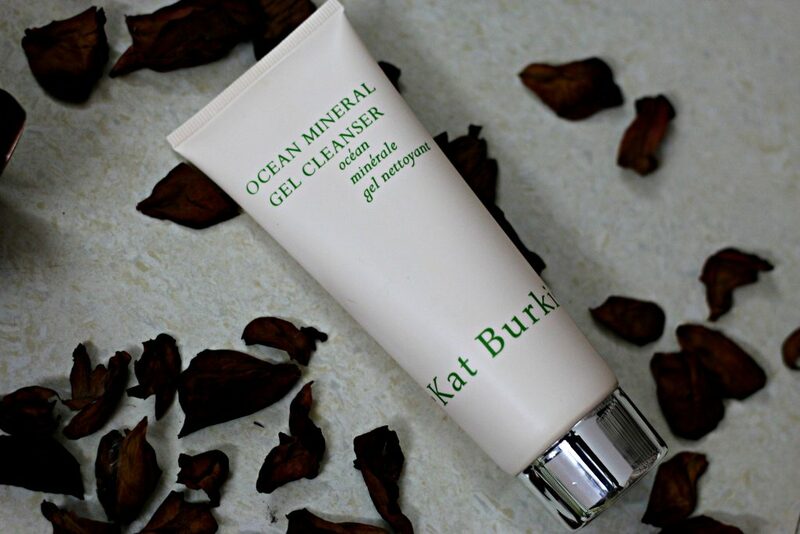 Kat Burki Ocean Mineral Gel Cleanser (formerly Ocean Mineral Face Wash) utilizes the magic of the ocean to cleanse skin with a rich and foamy lather that gently removes impurities without causing a dry or tight feeling. 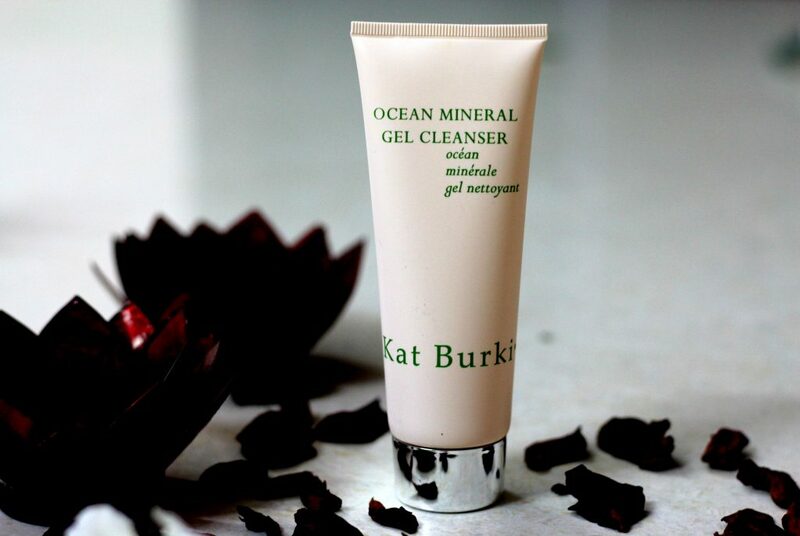 Kat Burki Ocean Mineral Gel Cleanser can be used both day as well as during night. Best to be used as your first cleanse. You can take required amount on your palms. 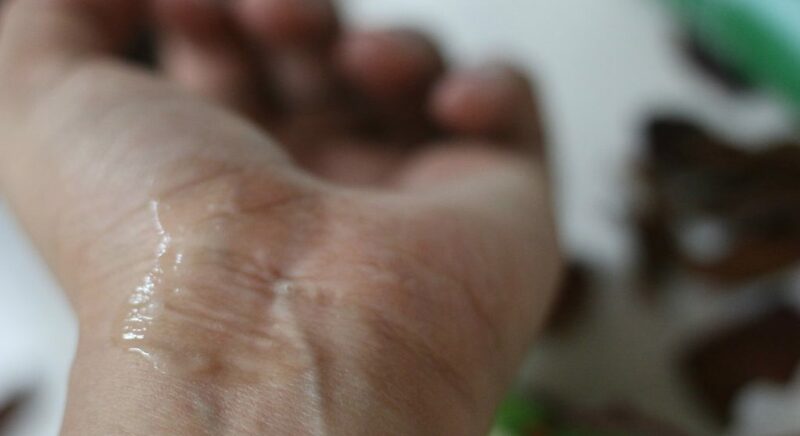 rub it on your palms and gently massage onto face and neck for 60 seconds. Can be used on wet or dry skin. Rinse clean with water or warm washcloth. The packaging is nothing fancy. A tube packaging that is very convenient. This cleanser can be used by Normal, Combination and Sensitive Skin. What I really like about this cleanser – First of all, While using this product, make sure it doesn’t go near your eye area. It stings badly. I like the light weight texture of this gel cleanser and it removes light makeup. I usually remove my makeup and then use this as a first cleanse in my CTM routine. I like the fact that it was not very drying on my sensitive skin and it didn’t irritate my skin. I see a ot of negative reviews about this product. I think all those are false claims. Me with sensitive ski nand my cousin with a normal/oily skin liked this. The fragrance is a mix of clean salty scent mixed with essential oils. Definitely not a favorite fragrance for me. But, nothing unpleasant either. I used this on damp skin and I found this cleanser don’t lather much. But it does the job of squeaky cleaning the face, leaves no residue behind. It does exactly what a cleanser is supposed to do. It clears up the impurities and dirt from face and after you wash off. Initial 30 seconds to 1 minute -You feel your skin to be really tight. After that face turns really smooth to touch. If you are using it at night. You would need a hydrating moisturiser afterwards. For me, As I use it as a first cleanse, I make sure I follow up with a cleansing balm that is moisturising on my skin. Ingredient list of this cleanser is impressive though. 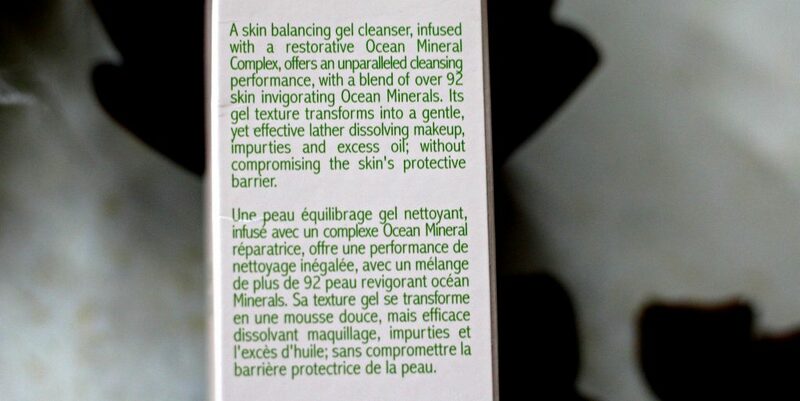 Has 92 skin invigorating ocean minerals. 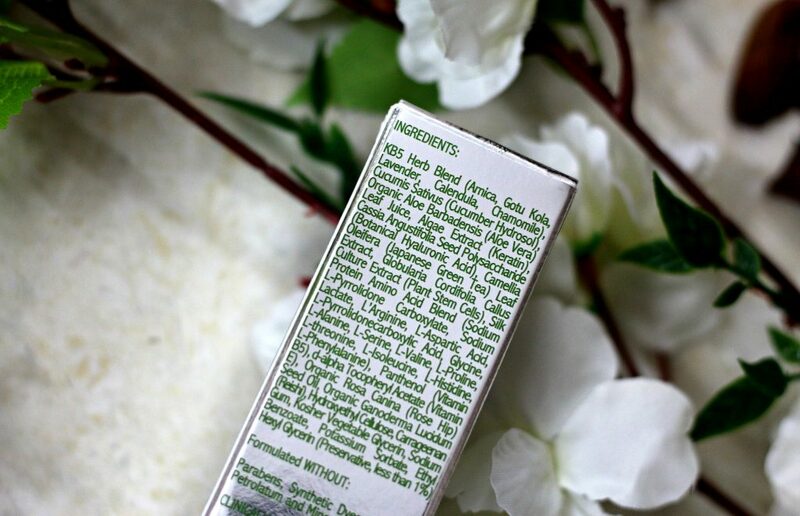 Formulated WITHOUT – Parabens, Synthetic Dyes, Synthetic Fragrances, Gluten, Sulfates, Petrolatum and Mineral Oils. The ingredients include, tea tree oil, rose hip seed oil, orange peel, grapefruit seeds, ocean mineral complex, gotukola, arnica, calendula, lavender, chamomile etc. Kat Burki suggest to use this as first cleanse. They also have a Vitamin C Nourishing Cleansing Balm ($65), which is a second cleanse. I was very excited to try this product. Especially I have heard so many rave reviews about this one. 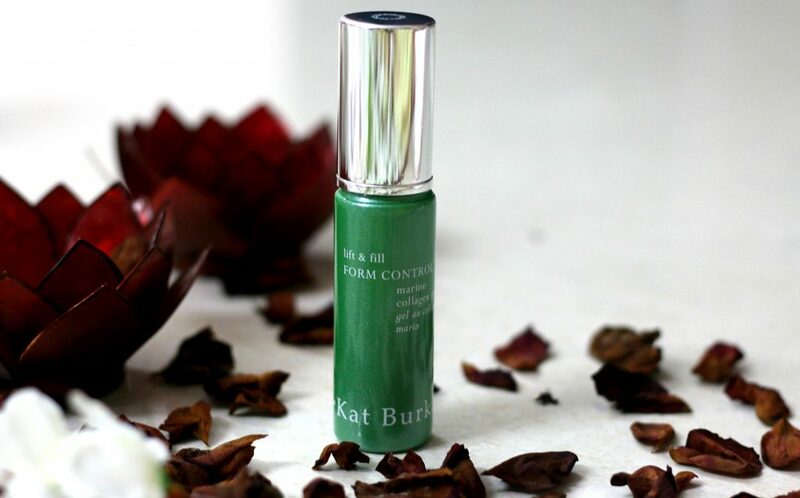 Kat Burki FORM CONTROL™ is a marine collagen gel that contours less defined areas by encouraging correction to fill in shape and form. It’s for all skin types. Offering maximum lift and fill, pure algae keratin regenerates skin cells while botanical hyaluronic acid, fused with silk amino acid proteins, instantly fills the epidermis to visibly smooth fine lines and wrinkles and improve elasticity. Fourteen known collagen boosters encourage skin cells to uptake the marine collagen for filling and plumping, and are also proven collagen generators, increasing skin’s own collagen production. 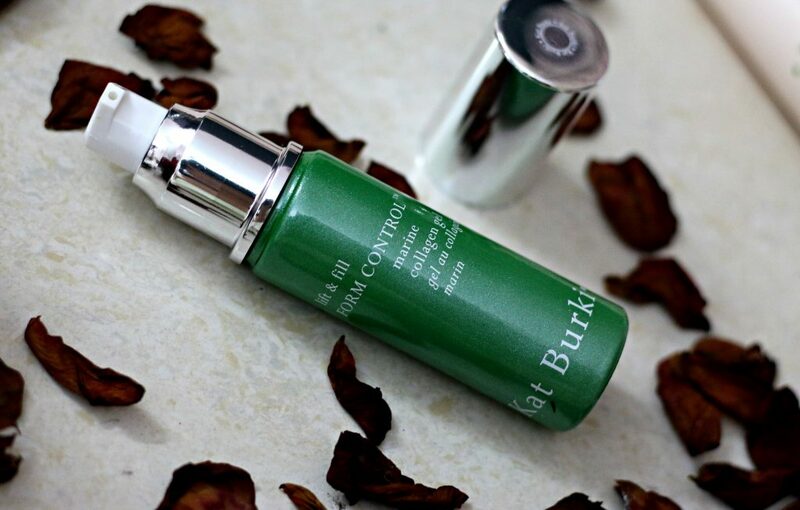 The brand’s signature KB5™ Complex, along with reishi mushroom and plant stem cells, promote deep hydration. Apply a thin, even layer to face and neck. 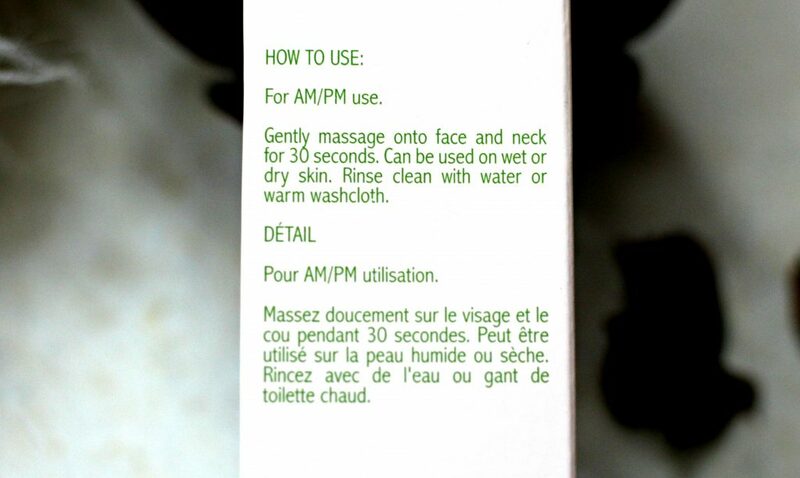 Allow 3-4 minutes for complete absorption. Follow with nightly skincare routine. Though this product is super expensive. It’s performance justifies its price. I totally love this. It’s Free from parabens, synthetic dyes, synthetic fragrances, gluten sulfates, petrolatum and mineral oils. 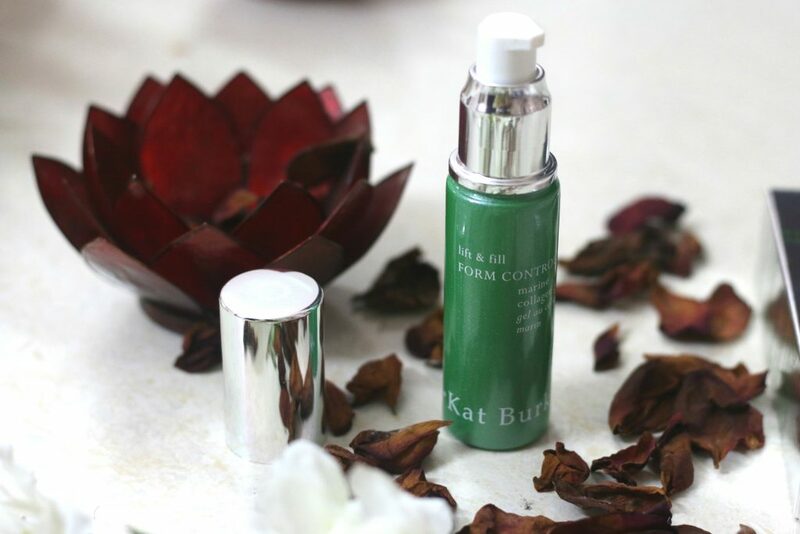 Kat Burki Form Control Marine Collagen Gel is part of their Anti-Aging line. The texture is very lightweight gel which is very hydrating on skin and is quickly absorbed by skin. Smell of cucumbers, very fresh and soothing. 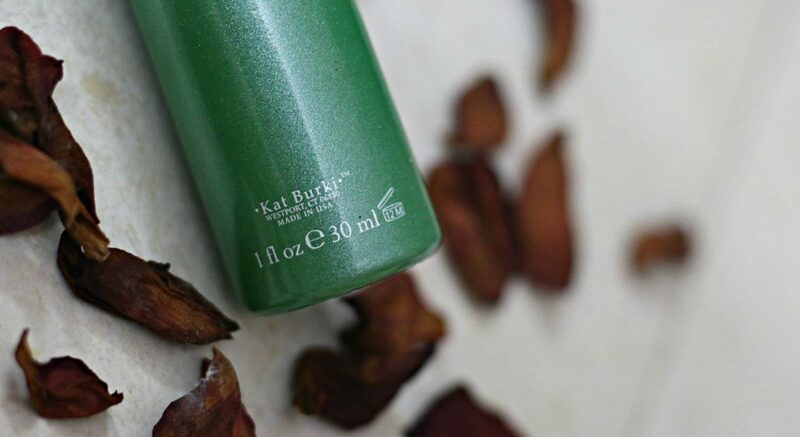 About the packaging – This luxe glass bottle, green colored iridescent shimmers with a pump. Luxury in every way. 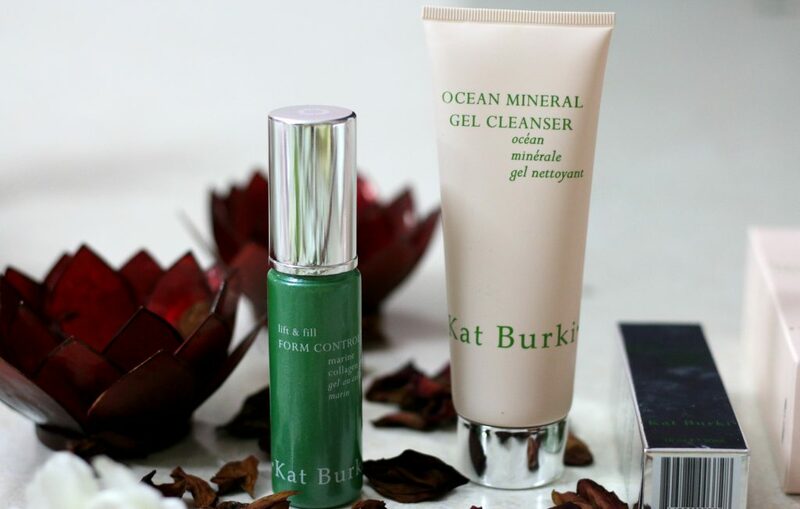 Love the fact that Kat Burki products don’t contain water, alcohol or dimethicone. Price tag is worth it. 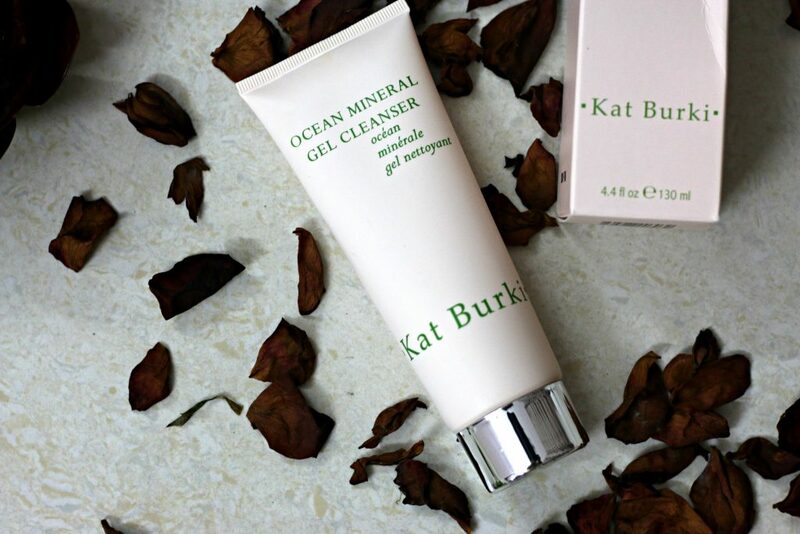 Kat Burki claims that this marine collagen gel contours less defined areas by encouraging correction to fill in shape and form. Offering maximum lift & fill, pure algae Keratin regenerates skin cells while Botanical Hyaluronic Acid fused with Silk Amino Acid Proteins instantly fills the epidermis to visibly smooth fine lines and wrinkles and improve elasticity. 14 known Collagen Boosters not only encourage skin cells to uptake the Marine Collagen for filling and plumping, but are also proven collagen generators to increase skin’s own collagen production. Further boosted by KB5™ Complex and Reishi Mushroom, Plant Stem Cells promote deep hydration. You may use it before your regular moisturizer for immediately plumping, or under your moisturizer as a serum for long-term benefits. I prefer to use this as a serum. The texture is super light weight and it instantly sinks into your skin. Once applied, allow it to sit on your skin for about 3-4 minutes before applying other products so that it can absorb properly. For the $150 price point, it is definitely a luxury product, but I’ve really enjoyed using this and will recommend to those looking for a plumping and nourishing serum. I really felt my skin to be plumped, more hydrated, radiant and youthful. Even though it is marketed as an anti-aging product, I like to think that people in their late 20s and early 30s can also use this as a preventative measure. I am in my late 20’s. Love this product. Overall, these two products are nice and it’s worth trying. I like the collagen gel more and I would like to try their Vitamin C intensive face cream and Vitamin C nourishing cleansing balm and Power Trio Radiance Oil next. Will keep you all posted about those products as well. ** Products sent by brand PR. However, my views are honest and unbiased as always. I have not heard of this brand before but I do get to know sbout some really fab products and brands via your blog and social media. I love anything that plumps up skin, This sounds amazing! Thank You dearest Ash…Same with me…I am all loving new skincare discoveries via your wonderful feed. 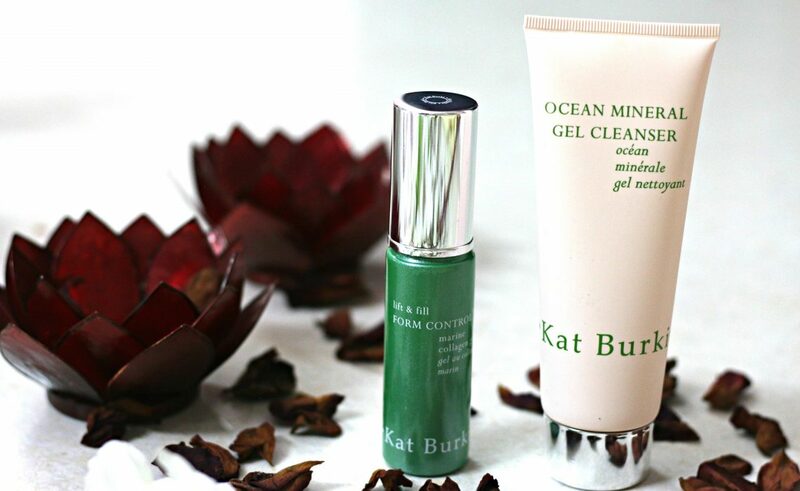 kat Burki is a luxury skincare brand and they are available in EU and UK as well.. Do try their products. You will love them. I have not heard of this brand before. I love how thorough your reviews are. 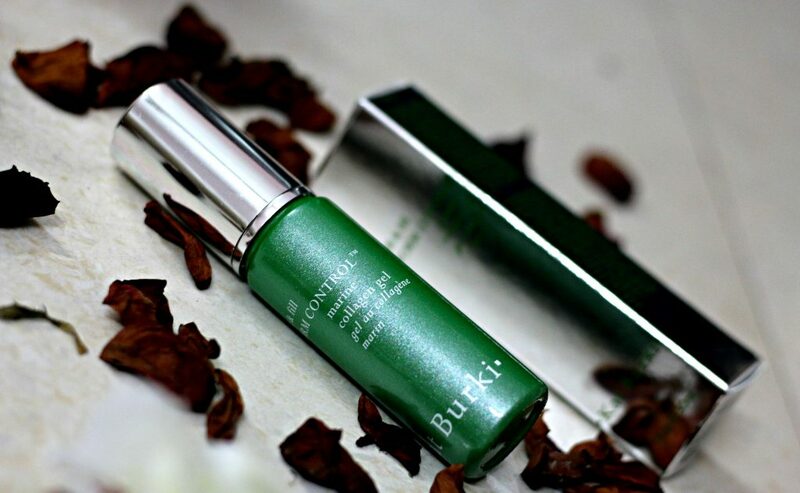 What an amazing review, Kat Burki is on my wishlist since almost two years and I want o try something from this so badly after reading your review. Preet, Thanks dear..Do try them…I think their products are available in Canada. What all products on your list. Don’t know this brand, however looks promising!! It’s fabulous on skin Ankita. I am very particular about skincare. I try a lot of drug store makeup. But, when it comes to skincare. I feel that extra luxury is always needed for all of us. Do try this brand if you get a chance…I am sure, You will spot some of your favorites. Seems luxurious to the skin. I like products adding life to skin. 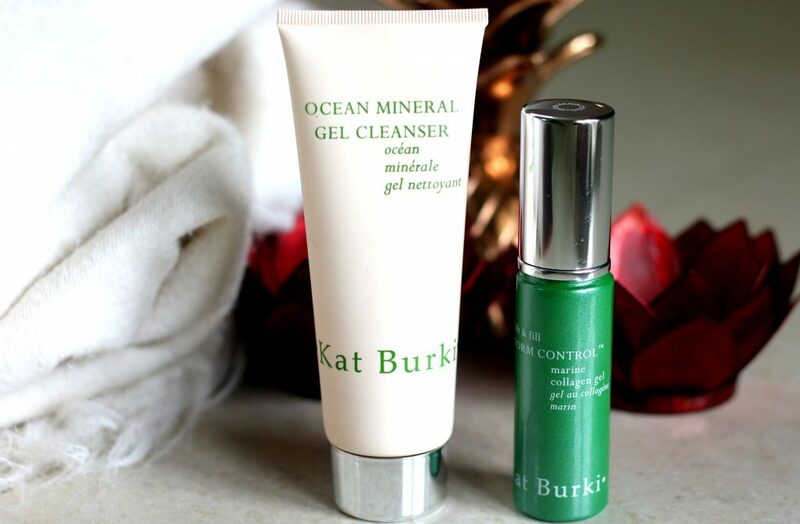 Me too…I love new skincare discoveries too… This one here is no exception. I love it. Had never heard of this brand before. But that’s quite some information you gave out. Nowadays, its so difficult to find products that are Paraben free and that do not have synthetic fragrances. This one scores big in that area too. However, the only downside I found is the Price Point. $150 is a huge amount. Almost 10,000 INR. Totally Kavitha. These days, it’s so hard to spot a brand without any nasty ingredients. This one right here is a luxurious Skincare brand that is international. Which is why, it’s expensive. But the price tag is totally worth it’s performance dear. I would any day spend money on good skincare than buying cheaper alternatives which doesn’t turn up well.. Such a detailed blogpost Renji.. There are so many unsung heroes on ur blog which I only get to learn when I toggle here! This brand looks very good but definitely very expensive. Hope they are more easily available in India.